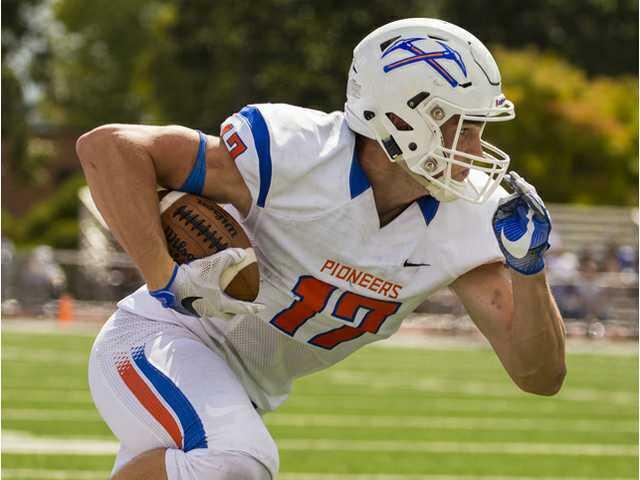 Former UW–Platteville wide receiver Dan Arnold signed an NFL contract with the New Orleans Saints on Tuesday. POSTED June 7, 2017 3:04 p.m.
NEW ORLEANS — Former UW–Platteville wide receiver Dan Arnold signed a free agent contract with the New Orleans Saints, according to multiple New Orleans media outlets. Arnold, from Fargo, N.D., caught 65 passes for 1,176 yards and a Pioneer-record 16 touchdowns in 2016. He earned WIAC Offensive Player of the Year honors as well as first team D3football.com All-West Region and All-American honors. He also earned All-American honors by the American Football Coaches Association. Arnold was invited to May tryout camps by both the Kansas City Chiefs and the Saints, who are in their final week of OTAs (organized training activities). The Saints hold a three-day mandatory minicamp on June 13–15.